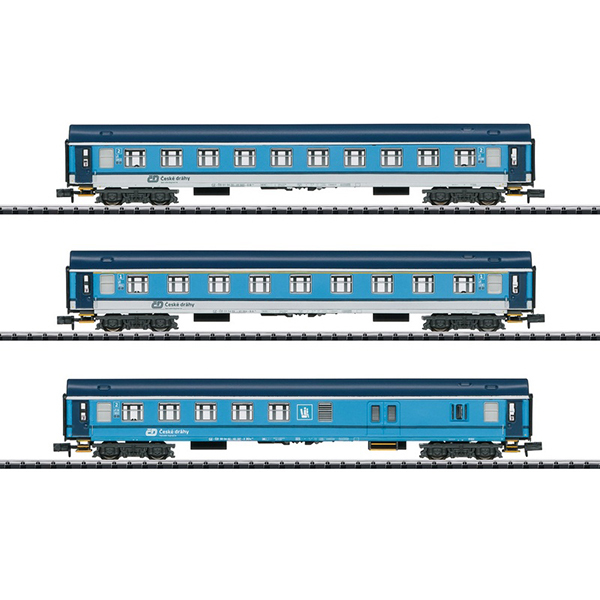 Prototype: One (1) type B 249 express train passenger car, 2nd class, one (1) type A 149 express train passenger car, 1st class, and one (1) type BDs 450 express train passenger car, 2nd class with a baggage area, all painted and lettered for the Czech Railroad (České drahy ČD). The cars look as they did in 2016/2017. Built starting in 1968. The locomotive to go with this car set is available under item number 16738. The car set can be lengthened with the 15989 add-on car.